Having been at the top of the MXGP standings in previous years, Monster Energy Yamaha Factory Racing’s duo of Romain Febvre and Jeremy Van Horebeek are both extremely motivated to make their returns to the podium. This weekend the team will travel more than 3000 kilometers from their base in Parma, Italy, for the sixth round of the FIM Motocross World Championship, which will take place on Monday April 30th and Tuesday May 1st in Orlyonok, Russia. They say consistency wins championships, but with the depth of talent in the MXGP class deeper than it’s ever been, it’s going to take more than five top-five finishes to vie for the crown. Romain Febvre is currently third-place in the MXGP Championship Standings following his string of fourth place finishes at the previous three rounds, and as the rider that led all but three-laps of Race 2 at the Russian Grand Prix last year – only to finish second place through no fault of his own with a lapped rider forcing an error – a podium finish looms for the determined 26-year-old. Racing on the highlands of Orlyonok will be a new experience for Jeremy Van Horebeek after only making it to the first-turn in the Qualifying Race last year where he was caught in an incident that resulted in a broken finger. Before the unfortunate injury, the Belgian enjoyed the circuit. The 28-year-old will be going into the MXGP of Russia in high spirits with hopes of returning to his pre-Valkenswaard form where he can build on his seventh place position in the Championship Standings. The track and venue in Orlyonok, Russia, is located on the eastern shore of the Black Sea, 150km North West of Sochi. The track made its international debut in 2016 as the host of the FIM Junior Motocross World Championship, where Jago Geerts won the 125cc class. Geerts now rides for the Kemea Yamaha Official MX2 Team where he is currently the best-placed rookie, in thirteenth, with his best race finish being a fourth-place at the MXGP of Europe, in Valkenswaard, The Netherlands. His Kemea Yamaha teammates are also in for an exciting weekend with Ben Watson’s most recent race being one of his most memorable. At the last Grand Prix in Portugal Watson was the hot protagonist as he dashed his way through the field from outside of the top-10, reeled in the leaders and gave MX2 the best race finish of the season, as he crossed the finish line in an intense battle for second-place, literally side-by-side with Thomas Kjer Olsen. The 20-year-old Brit is eager to stand on the podium for the first time in his career. Vsevolod Brylyakov’s MX2 season is on the rise, and if nothing else, his spirits will be sky-high over the next few days as he looks to race on home soil for the first time since he joined the MX2 World Championship. 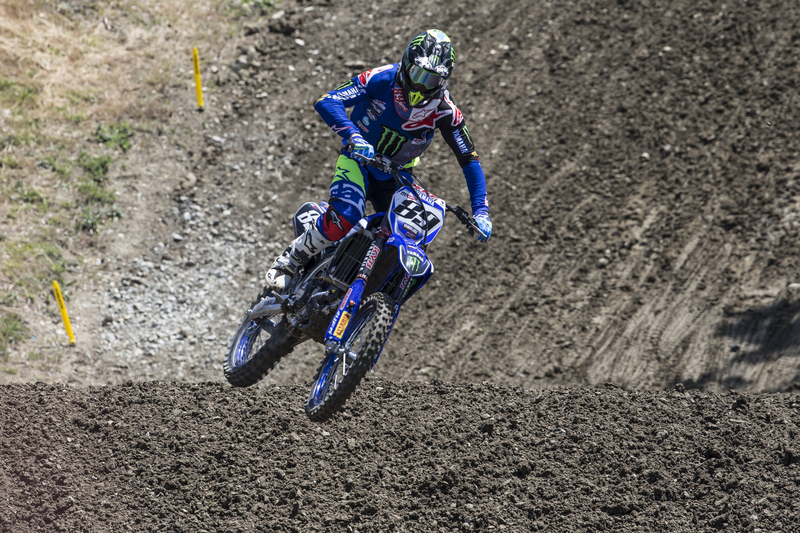 The pale coloured clay track is wide, flowing and high-paced with plenty of elevation, something that is well suited to Wilvo Yamaha Official MXGP’s Jeremy Seewer. He won the final race at the MX2 Grand Prix of Russia last year and will have a solid shot at a top-5 finish in the premier class this weekend. Wilvo Yamaha Official MXGP’s Shaun Simpson will go into Russia with no expectations, as the entire track and venue is new to him. As one of the most seasoned riders on the line, its not often he can go to a venue having no knowledge or experience on the track. It will be a refreshing change for the Scot who tends to gain momentum as the season goes on. The Russian Grand Prix will be unique as the practice sessions and Qualifying Race will take place on Monday 30th of April, with racing taking place on Tuesday 1st of May. The dates of this Grand Prix were set to encourage more fans to attend the Grand Prix as it will take place on a public holiday in Russia.